So Just Who Are The ‘Galactically Stupid’ In This Whole Debt Ceiling Debate? Some people think it is Senator Harry Reid. Some think it is President Obama. Others think it is Speaker John Boehner. The Tea Party is getting its share of the blame as well. We happen to think Speaker Boehner is emerging as a statesmanlike leader during this whole thing. He had been parodied as man who shed a tear much too quickly but he is looking more and more like the adult in the room as this thing drags on. We currently have a $1.4 trillion annual shortfall between expenses and revenues. We don’t have a Balanced Budget Amendment to the US Constitution. The Democrats control the US Senate and the White House. The GOP controls the House of Representatives. We have collected an average of 18.5% of GDP in tax revenues for the past 50 years. We are now spending 25% of our entire national GDP out of Washington. Interest rates are at all-time lows at or below 3%. We are not denigrating the efforts of either of the majority leaders in either the House or the Senate. We know how difficult it is to round up the herd of cats up there from both major elective political parties. Each Senator thinks he or she has what it takes to be the President of the United States one day, although each actually has more power in their little finger tip to influence public policy in America than the President actually has constitutionally. Each and every Congressional Representative has a very short leash from their home districts because of the two-year terms imposed by them by the said same US Constitution (thank God!). And in 2012, this leash is shorter than most for many incumbents since new redistricting lines have been drawn and many of them will face an entirely new electorate to try to represent in the next term of Congress. So getting a majority is hard enough in either house and getting 60 in the Senate to even allow debate on a bill is a tall order worthy of the patience of Job. But honest to God, what in the world is going on up there? We think there are two problems. #1) Many elective representatives nowadays do not go to Congress with a whole lot of private sector high-level experience in finance, budgeting or accounting. This is a very high stakes of domestic and international financial chicken we are now engaged in and it would help a ton to have maybe more than a couple of elected representatives who can speak to that complexity with understanding and comprehension. Like why not a Nebraska 'Senator Warren Buffett' or a 'Senator Bill Gates' from the Great State of Washington for example? They are supposed to be our 'best and brightest and smartest', aren't they? #2) Congress is a direct mirror-image reflection of the schizophrenia we as the American public have towards government at all levels. We all A) want ‘something’ from the federal government and B) We do not want to pay for any of it. Admit it to yourself. You know it is true. So who is ‘galactically stupid’ under that scenario? Are you ready to give up your ‘entitlement’ to enroll in Medicare at age 65 and pay roughly 75% less than the full market price in monthly insurance premiums to do so? Are you ready to reduce the defense/homeland security budget perhaps 20%? Are you ready to have less of your food inspected before you eat it? Because if you are not, prepare yourself for some massive tax increases. Including everyone, not just the ‘filthy rich’. Why? Because there are so many more moderate-income taxpayer households than wealthy folks, maybe 100 million or more. $1000 more in taxes paid by 100 million taxpayers yields ‘only’ $100 billion more per year in tax revenues. We’d have to pay $10,000 more per year for each ‘normal’ taxpaying household just to raise another $1 trillion per year in tax revenues which would still leave us with over $300 billion in deficit-spending each year at current elevated spending levels. Raise your hand if you think you can pay $10,000 more to the federal government each year in taxes to support all the programs now in force on the books in law. The immutable laws of economics, gravity, international finance and physics are starting to wend their magic against the profligate and yes, ‘galactically stupid’ fiscal policies of the United States of America for these past many years, but especially these past 10 years and most specifically, these past 2.5. If you are of the mind that 'no compromise' is the way to go, take another deep look at your pocket Constitution and tell us where it says any political party gets to tell any other political party what to do 100% of the time every time there is a legislative session in Congress. It just 'ain't in there' no matter how hard you look which is just the way the Founders wanted it given their predilection against the concentration of any power, including the King of England. Compromise is the very essence of the US Constitution. You either have great negotiators and 'win' more of what you want for your side than you give up to the other side or you don't and you 'lose' this time around. But there is another election around the corner and another session of Congress next year where you can come back and try again with new legislators and leaders. 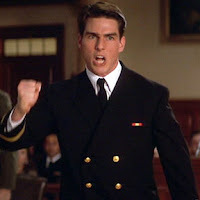 Tom Cruise as Lt. Kaffee would be having a field day lately. Hey! Maybe he should run for Congress? We have had many humdingers of national debates over our 222 years as the Great American Republic: slavery; the Cross of Gold; the First and Second National Bank; states’ rights; women’s suffrage; civil rights, The New Deal; The Great Society; Vietnam and the Reagan Revolution. Historians are going to have a hard time fitting ‘The Great Debt Ceiling Debate of 2011’ into that rarified air in the Pantheon of our great national debates just because it sounds so darned ‘boring’ and ‘obtuse’. But it belongs there simply because it starkly identifies the two ideological camps that have been inherent in virtually all of our national debates since 1787 beginning in the Constitutional Convention in Philadelphia. In the one corner, wearing the Superman capes, we have the ‘Big Government Statists’, inheritors of the mantle towards concentrated power in our federal government in Washington initiated by Alexander Hamilton and the Federalists. President Obama, Senate Majority Leader Harry Reid and House Minority Leader Nancy Pelosi are staunch defenders in more government and more taxes to pay for it all, primarily from the rich and the corporations. And in the other corner, wearing the red, white and blue striped shorts, we have the ‘Smaller Government Free Marketeers’, descendants of the decentralized visions of Thomas Jefferson and James Madison. Speaker of the House John Boehner, Senate Minority Leader Mitch McConnell and the bulk of the freshman GOP House Members representing the Tea Party make up the vocal leadership of this team. And both sides think they are ’10,000% right’ and ‘on a mission from God’ as Elwood Blues (Dan Ackroyd) would say. The US will not technically ‘default’ on its bonds as long as it keeps paying interest on the bonds already outstanding which we can and will do as the Priority #1 item in the federal way of doing things. The US has a ‘massive overspending’ problem, not a ‘massive undertaxation’ problem and has had one for 27 of the past 30 years. Federal spending was 3% of GDP before FDR took office and 10% before WWII. It is now 25% of GDP and growing. The ‘rich’ are already paying more than their ‘fair share’ since the top 1% of all taxpayers pay 42% of all income taxes as it is today. The top 20% pay close to 75% of all income taxes. The lower 50% of all taxpayers pay 0% of all federal income taxes. Shouldn’t everyone have to pay at least $1 per year in income taxes if we are going to talk about true ‘fairness’ where everyone has a stake in the national budget debate? The Bush Tax Cuts are due to expire on December 31, 2012 whereby all of the tax cuts, including the dreaded AMT and estate taxes, go back up to what they were in 2001. Whether that is an ‘expiration’ or not, millions of taxpayers will be paying much higher taxes and tax rates in effective January 1, 2013 if President Obama wins a second term in November, 2012 absent any grand compromise emanating from this debt ceiling debate. On top of that, massive taxes on corporations and small businesses are already beginning to take root as a result of the massively underfunded Obama Health Care legislation passed just last year. The tax hikes are front-loaded and sure to take effect in the near-term; the proposed savings are backloaded (sound familiar by now?) and most likely never to be implemented since no Congress can bind a future Congress to any legislation it passed 10 years earlier. Notice how the oath in the Constitution doesn’t ‘swear’ allegiance to a guy named ‘Grover Norquist’ or the AARP. We have been making as much of an impassioned plea as we possibly can make for the past 2 years here in Telemachus for: 1) adults to enter the public arena and run for political office to save us from ourselves; and 2) enact trillions of dollars of spending reforms and reductions to save us from this debt trainwreck everyone has seen coming down the track for the past 30 years. If anyone has proposed or supported more fundamental spending reductions than we have on these pages, all backed up with official CBO scoring and resource citations, we would like to see them. We respect the foundational principles of the US Constitution that clearly state that the Congress is the sole repository of authority to propose tax hikes or cuts, and spending increases and decreases, not a single person acting like a king or a Caesar or a czar in the Oval Office whether he is named, Reagan, Bush, Clinton or Obama. We can also count. The Democrats control a clear majority of 53 votes in the US Senate. The GOP controls of a clear majority 242 seats in the US House. Both sides have equal say in crafting a bill that goes to the President to sign or veto. Neither side is going to get 100% of what they want, no matter how much they huff and puff and want to blooooowwwww down the house of the other side like the Big Bad Wolf. So far, based on the tiny details that have seeped out from the negotiations into the press by each side’s professional spinmeisters, we think the savings offered by the President and the Democrats are too backend-loaded and non-specific to be taken seriously. This may be the only chance fiscal conservatives will have for the first term of President Obama to plant a stake in the ground to rollback these enormous spending increases and bring some sanity back to the federal budget which is why the House has rejected them so far. The limitations in the tax deductions and exemptions are not ‘tax hikes’ per se but have the same effect as raising taxes paid by specific groups of people who have already benefitted from special loopholes and carveouts gained for them by clever and talented lobbyists and organizations in Washington, DC. We have no problem with eliminating many to most special tax breaks…there are literally thousands of them in the byzantine current federal tax code which only further argues for a complete overhaul of the system and replacement by a consumption tax. Our principle is this: if the tax break is not generally available to each and every taxpayer, it probably should not be allowed. What is so fair about offering a special ethanol tax credit to a producer of corn in Iowa, for example, when a middle-income taxpayer in North Carolina who is renting a home, has no children and pays his own medical insurance gets almost zero tax deductions to use himself? The tax code should be blind to the individual needs of each and every citizen. The tax code is there to do one thing and one thing only: Raise sufficient funds to pay for the essential government services we need to protect and defend our nation; promote commerce and provide for the general welfare as it says in the Constitution. It is a shame because these chances only come along about once every decade it seems where both sides have to sheath their swords and park their shibboleths at the door of the Capitol and go in there and act like statesmen for our nation’s sake and not their own particular political future or party’s sake. POSTED JULY 21, 2011 in Keith Hennessey's very good blog, 'Your Guide To American Economic Policy'. It is worth your subscription if you want the inside scoop on things in more detail. Keith obviously has gotten his hands on the internal working documents of the 'Gang of Six' discussions that we did not have access to yesterday when we passed along details gleaned from various news sources about the Gang of Six plan to end the debt ceiling debate now raging in Washington. Suffice it to say: He doesn't like it for reasons he clearly states below. No word of a deal forthcoming on the debt ceiling although today's morning news reports are hinting at some sort of a $3 trillion deal still in the offing between President Obama and Speaker Boehner. We will pass along comments and details when they happen. This is a very important debate going on right now for many reasons; presidential politics; congressional control of the House and Senate, the usual political things. Except this is dealing with the hot potato of shaking the financial markets and exacerbating the already desultory national debt outlook for our nation. It is as important as they get on big public policy matters because the outcome affects all of us and our children and their children's children in the form of dealing with this debt forever it seems. 'If you’d like to understand the details of the Gang of Six plan, please read my (quite long) earlier post. I strongly oppose the Gang of Six plan. I think it is absolutely terrible fiscal policy. First I’ll flag a few things I like in the plan. I support making a technical correction to CPI, even though it would result in higher revenues. Repeal of the CLASS Act is great. It’s good they included medical malpractice reform. That’s it. Others right-of-center are salivating at the low marginal income tax rates described in the plan, both for individuals and corporations. I think those low rates never materialize, for both arithmetic and legislative reasons, and explain why below. I make a lot of assertions in the following argument. For backup, please see my earlier explanatory post, which contains links to the Gang’s source documents. Here are 17 reasons why I oppose the Gang of Six plan. 1. It provides no discretionary spending totals. Discretionary spending is 37% of the budget next year. The Gang of Six plan does not specify discretionary spending totals. How can I support (or even evaluate) a budget plan that promises to cap 37% of spending but doesn’t tell me at what level, next year or for nine years thereafter? 2. It cuts defense spending while hiding the ball on nondefense spending. The only discretionary spending number provided is $866 B in defense (security) discretionary savings over the next 10 years. I care about the discretionary spending total and about the balance between defense and nondefense. I am open to defense spending cuts, but not if I’m not told what the plan does to nondefense spending as well. How can I support or evaluate $866 B of defense appropriations cuts when I am not told whether the plan cuts, holds harmless, or even increases nondefense appropriations? 3. The promised deficit reduction is both overstated and less than is needed. Their $3.7 trillion of claimed deficit reduction is bogus. It includes an unspecified amount of savings from a future legislative fast-track process that would require further Congressional and Presidential action if health spending growth exceeds a certain target. The Gang’s plan also uses at least three different baselines in different parts of the document. Combine that with the absence of discretionary spending totals and I have no confidence in their $3.7 trillion deficit reduction number. It is easy to solve this problem – I guarantee Chairman Conrad has a table of numbers that shows these calculations. All he has to do is release that table. Even if I did believe it, this amount of savings won’t cover CBO’s projected $5.4 trillion of net interest costs over the same timeframe. In fairness, other plans face this same problem. We need much more deficit reduction (through spending cuts). 4. It is a huge net tax increase. The Gang of Six plan would increase taxes by $2.3 trillion over the next 10 years relative to current policy. That’s roughly a 6.5 percent increase in total taxation. Put another way, the Gang of Six plan raises taxes $830 B more than would President Obama’s February budget. To those who like the promise of low statutory tax rates – the benefits of low marginal rates are far outweighed by the increase in average effective rates. This is a massive hidden tax increase. 5. It’s a far worse trade than Bowles-Simpson. The fundamental trade of the Bowles-Simpson group was higher net taxation in exchange for (huge long-term spending reduction, especially in entitlements + fundamental structural entitlement reform + pro-growth tax reform). The Gang of Six plan drops the first two elements of that trade, the huge long-term spending reductions and the structural entitlement reforms. It instead purports to offer pro-growth tax reform in exchange for much higher net tax levels. It offers trivial spending cuts, no flattening of long-term entitlement spending trends, and no structural reform to the Big 3 entitlements. That is a terrible trade, and far worse than Senators Durbin and Conrad agreed to in Bowles-Simpson. Why did the Republicans in the Gang take a deal far worse than Bowles-Simpson? 6. It trades a permanent tax increase for only a temporary respite on spending. The plan proposes permanent increases in net taxation levels in exchange for a temporary slowdown in spending. The entitlement spending line would be shifted ever so slightly downward – there would be no long-term “flattening of the spending curve.” The Gang tries to address that through a poorly-defined process to slow health spending growth that offers no specific policy changes and promises only to “require (future) action by Congress and the President if needed.” That sounds awfully familiar (see: Medicare funding trigger, turned off by Democrats in 2009). The consequence of this would be kicking the can down the road. Deficits would be smaller for the next 5-10 years while the higher tax levels offset entitlement spending growth. But since the plan does nothing to flatten the curve of Social Security, Medicare, or Medicaid spending, 5-10 years from now we will be right back where we are now, but with higher levels of taxation. We will again face huge and growing future deficits, driven by unsustainable entitlement spending growth. Then we’ll repeat this game all over again. Raise taxes once again to buy another decade or so. The Gang of Six plan raises taxes and hands off an unsolved entitlement spending problem to the next generation. We need a solution that caps total government spending at some share of GDP. Cut, Cap, and Balance sets a limit of 20% of GDP, which I like. Bowles-Simpson raised taxes and moved toward a spending cap (but not far enough). The rumor at the time was that the Bowles-Simpson group was working toward a 21% cap. The Gang of Six plan raises taxes but does nothing to change the underlying spending trends. I hate the tax increases in Bowles-Simpson, but at least it moved in the direction of a permanent spending fix. 7. It’s an unfair deal on CPI. A CPI fix raises revenues and cuts spending. I’d like to use the higher revenues to cut tax rates. Those on the left would like to spend the deficit reduction from slower Social Security spending growth on their priorities. I think the legislatively balanced way to do CPI is to do neither. All the fiscal benefits of a CPI correction go to deficit reduction. Treat it like it is – as a technical correction to more accurately measure inflation. It is not a policy change and therefore none of its effects should be mitigated. By increasing Social Security spending on low-income beneficiaries, the Gang of Six plan breaks this fair pain-all-around compromise in favor of one side’s policy preferences. 8. It precludes structural reforms to Medicare and Medicaid. The Plan says “while maintaining the basic structure of [Medicare and Medicaid].” That language precludes needed fundamental reforms to these programs, as contemplated in Bowles-Simpson, Rivlin-Ryan, or the House-passed budget resolution. We need structural reforms to these programs to flatten their long-term spending trends. This plan doesn’t even include the modest Medicare eligibility age increase proposed by Sen. Lieberman and endorsed by the President. 9. It does almost nothing to slow health spending growth, and even the $115 B of additional health savings are bracketed. The Biden group agreed to $203 B of health savings over 10 years. That is pitifully small compared to what is needed. The Gang of Six plan includes two numbers for health savings: $202 B and $85 B. It appears they are trying to sell two incompatible numbers: they tell Republicans it’s $202 B, and Democrats it’s $85 B. The documents literally show both numbers with no explanation or clarification about which one binds. 10. It leaves the core trillion dollar ObamaCare health entitlement in place. This problem is not specific to the Gang’s proposal, but it’s another reason for me to oppose it. Why are we talking about raising taxes and cutting defense spending at the same time that we are creating a new trillion health entitlement promise? Yes, repealing the CLASS Act is good, but it’s far from sufficient. 11. It makes it harder to do Social Security reform, drops the specific Social Security reforms of Bowles-Simpson and increases Social Security spending. The Gang’s plan sets up two new procedural barriers to Social Security reform. A Social Security plan cannot be considered in the Senate until and unless the rest of the Gang’s plan has passed the Senate. And 60 votes would be needed not just to break a filibuster, but to vote aye on final passage. Both changes make Social Security reform procedurally harder than it is right now. raising the cap on taxable wages. I hate the last one, but the Gang plan include none of these specific reforms. Sorry, guys, correcting the CPI for a technical flaw and erecting two new procedural hurdles does not count as Social Security reform. The only specific Social Security policy change the Gang proposes is to increase spending on poor people. The program is going broke and is already in a cash flow deficit and they are increasing entitlement spending. 12. It sets the wrong bar for Social Security reform and tilts reform toward tax increases. There are two ways to measure whether you have reformed Social Security: “75-year actuarial balance” and “cash flow balance.” The Trustees report both. Bowles-Simpson said their Social Security reform had to meet both tests. The Gang’s plan sets 75-year actuarial balance as the only test. This is the easier bar, and this way of measuring reform tilts the playing field toward short-term patches and tax increases. It’s a repeat of the “permanent tax increases for temporary spending changes” problem I describe above. The only way to guarantee a permanent (or even long-term) solution on Social Security is to require a reform plan meet the cash flow balance test (as well as the easier 75-year test). The Gang’s metric instead will lead to Social Security “reform” that will incrementally tweak benefit spending growth, combine that with a big tax increase, and appear to solve the problem for “75 years.” Then 10-15 years from now we’ll be back in cash flow deficit and we’ll repeat this all over again, only from a higher starting point on taxes. This has happened before, several times. 13. It locks in the net tax increase, then hopes to deliver on the stated tax reform policies. Procedurally the Gang’s plan would be turned into a budget resolution that can only commit the Senate to a total level of taxation, one that is way too high. After the budget resolution has been passed, then tax reform legislation would move (the plan says “within six months.”) If you are tempted by the promised details of tax reform, remember that those details would be negotiated after the Senate had already committed to a $2.3 trillion tax increase. Even if I could swallow a $2.3 trillion tax increase, which I can’t, I don’t trust the tax reform process enough to take that risk. The plan offers no procedural guarantees to prevent the tax policies described within it from being ignored by the Senate Finance Committee. By the way, good luck legislating tax reform that raises taxes $2.3 trillion more revenue than current policy. You’ll create so many more losers than winners that it will be impossible to round up the votes. Even revenue-neutral tax reform is extremely hard because the losers scream more loudly than the winners. 14. It undoes most of the benefits of last December’s tax policy battle. The keep-taxes-low crowd won a significant battle last December when a bipartisan majority of the Congress passed and the President signed a two-year extension of the Bush tax rates. Despite months of intense campaigning by the President, and a press corps that accepted the framing of “letting the Bush tax cuts expire,” the votes in Congress supported a current policy baseline perspective. Despite the rhetoric from the left, Members voted to prevent tax increases. By framing a $2.3 trillion tax increase as a $1.5 trillion tax cut, the Gang’s plan concedes this hard-fought intellectual ground and makes it easier for those who want to raise taxes even further to achieve that goal. Switching from a current policy to a current law tax baseline biases future legislation toward tax increases. 15. It sets up a tradeoff between marginal income rate cuts and capital tax rates. The tax reform described in the Gang’s plan is silent on capital taxation. Side conversations suggest the Gang agreed to but did not put on paper a 20% rate for capital gains and dividends. From a pro-growth perspective, lowering marginal income tax rates by raising capital taxation rates is a bad trade. And both the numbers and politics suggest that much of the higher revenues raised from “eliminating tax breaks” would come from higher tax rates on capital rather than scaling back even more popular tax preferences for homeownership, charity, and health insurance. Lowering the corporate income tax rate is nice, but you get more growth bang for the buck by allowing immediate expensing of investment. If depreciation is treated as a tax expenditure and the lower corporate rates are paid for in part by lengthening depreciation schedules, that will slow growth, not accelerate it. 16. The rate cuts are overpromised because the Gang overestimated the revenue that would be raised from reducing tax expenditures. I strongly support scaling back or even eliminating most if not all tax preferences. I’d go much further than I could ever get support for from elected Members of Congress. But I want to use the revenue raised from eliminating those tax expenditures to cut rates, not to make spending cuts smaller as the Gang’s plan does. The Joint Tax Committee warns us that the revenue raised by eliminating a tax preference is less than the measured “tax expenditure,” and often far less, because of the incentive effects. It appears the Gang far overestimated the revenues that would be raised from eliminating tax preferences, and therefore are promising marginal rates they cannot deliver. Those who are attracted by the low promised rates for individual and corporate income should understand that if the revenue raised from eliminating other tax preferences is insufficient, the actual rates in reform will be higher. And that’s assuming you trust a Senate Democratic majority process to deliver the unenforceable tax policy promises described in the Gang’s plan. Tax experts I trust tell me they can’t see how you could design a tax reform that hits the revenue targets promised (even with a +$2.3T revenue increase) and get statutory rates as low as promised. The revenue raised from “reforming” these preferences won’t be enough to lower rates that much, and repeal the AMT, and move to a territorial system, and reduce deficits. 17. The plan proposes a deficit trigger mechanism that might include automatic tax increases. The President proposed a version of this – a trigger that would guarantee that future deficits do not exceed a given target. The Gang’s target is procedurally weaker but still dangerous. I hate big future deficits but hate as much any process which makes it easier to raise future taxes to address those deficits. The Gang’s trigger is ambiguous on this point, and the legislative language would be drafted by the Senate’s Democratic majority. Like many others, I am attracted to Members working across the aisle and breaking the natural partisan divide. For me, the substance trumps that, and the substance of this plan is simply terrible. 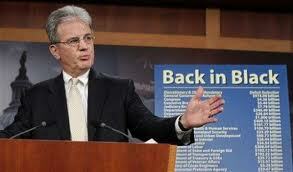 For example, who would have thought that Oklahoma Senator Tom Coburn would be rising up to 'statesmanlike' status with his $9.5 trillion deficit-reduction plan called 'Back in Black' and leadership on the so-called 'Gang of Six' compromise plan now under consideration in the Senate? When Congressman Tom Coburn was elected to the US House in the 'Revolution of 1994', he was a 'Tea Party' guy before there was even a Tea Party. Many of his ideas were viewed as 'extreme' even by some of his Republican colleagues. He had been trained as an accountant and then built and grew a family optical business which was then sold in 1978 for a considerable sum of money, we presume. And then he made the logical career choice that any wealthy person would make after selling his or her business: He went to Medical School! He finished in 1983 and started a practice in Muskogee, Oklahoma where he still specializes in family medicine, obstetrics and allergies in his 'spare time' at home from the Senate. He has delivered over 4000 babies during his career. Back in the founding days of the Republic, that would be called an 'Enlightenment Man'. What does the 'Gang of Six' plan do? It basically combines specific spending cuts and budget mechanisms to hold down future spending increases below a certain expected growth rate in return for eliminating multiple tax deductions, exemptions, preferences and loopholes. The specifics are not public yet but there apparently is a 'downpayment' of $500 billion in spending savings to be achieved by 2015 through a combination of freezing the overall discretionary budget; instituting a 'chained' COLA adjustment for Social Security; freezing congressional pay and selling federal assets. The long-term health insurance plan, The CLASS Act would be repealed. In return, there would be a commitment to come up with close to $3.2 trillion in additional savings over the next 6 months in the committees of jurisdiction, to be implemented over the next 10 years across all of the federal government. In addition, the Senate Finance Committee and Ways and Means Committee are instructed to lower marginal tax rates and eliminate the Alternative Minimum Tax, the dreaded and deadly 'AMT' that many people get hit with each year without even knowing it is out there. There are no specifics yet but it is also assumed that many tax breaks and exemptions will be curtailed or limited in return for lowering of individual and corporate tax rates, both of which would spur investment and economic activity in and of themselves. But one key ingredient of the plan also seems to be the extension of the Bush tax cuts forever first and then work the new details of the tax plan around that presumption. Presumably, the marginal tax rates would fall but so would the numerous tax exemptions that have been surgically-implanted into the tax code over the years by wily lobbyists wearing Gucci loafers. The net result has not been scored yet but Bloomberg is reporting that it could cut tax revenues by $1.5 trillion (by extending the Bush tax cuts forever) before it raises revenue by $1 trillion through the elimination of tax loopholes and exemptions. There are so many moving parts to this proposal that perhaps the authors of the legislation are counting on every constituency being so blinded by their brilliance that they can't organize opposition to this 'solution' to the debt-ceiling issue during the dog-days of summer in Washington. 1) We have a MASSIVE problem in the form of burgeoning debt that we simply have got to tackle for the long-term health of our economy and our children. 2) Watch out for the amount of solid, scoreable up-front spending savings that can be achieved at the outset, not 10 years down the road. The debt crisis we have is 'now' and starting to solve it 10 years from now is too late. 3) Consider the actions of the committees of jurisdiction very closely over the next 4 months in Congress as they has out the details of the reforms and spending reductions in everything from Medicare to defense. If they are not direct and easy-to-understand to the average person, then they are probably ephemeral and 'not real'. 4) Watch the reaction of Grover Norquist and his supporters of the 'No Tax Pledge'. This proposal would extend the Bush tax cuts in perpetuity AND eliminate the dreaded AMT, the most dangerous personal income tax weapon the government has to come after your earnings if not eliminated or annually indexed to inflation. But it also might wipe out many of the tax deductions and loopholes you may enjoy, so-called 'tax expenditures' that we have written about before. Will Congress limit the home mortgage interest deduction in return for lower marginal tax rates? The charitable donation to churches, synagogues, mosques and the Salvation Army, for example? They may just wipe out targeted tax credits and deductions such as the ethanol tax break, many of which the average American taxpayer has a below zero on the Kelvin scale chance of ever being able to use for their own personal tax returns. When was the last time you used the 'special tax rules for NASCAR venues'? These tax exemptions were stuck in the tax code and carved out by clever lobbyists and mean this and this only: Everyone who has access to any of the thousands of special tax breaks in the US code are now paying less tax than they would if they did not have the tax provisions. Is that 'fair' to the average taxpayer? It is for this main reason that we have been supportive of the consumption tax to be implemented once the entire personal and corporate income tax is repealed. No exemptions, except for the very poor. You are taxed based on what you consume, not on what you save or invest. Very clean and simple to understand. But that ain't happening anytime soon. This might be our last best shot at a major deficit-reduction package and some semblance of 'certainty' at least as it pertains to the tax code. Let's give the 'Gang of Six' a chance to become real American heroes. And if President Obama signs something that is 'real' on spending reductions and lowers marginal tax rates, maybe all 7 of them will deserve their visage on a rock near Mount Rushmore. When Will This Long National Nightmare End? When the National Mall’s Port-A-Johnnies are shut down. No kidding. It happened before in 1995. It will happen again in 2011 or something very similar. President Gerald Ford, one of the greatest spending bill veto-wielding President in the history of the American Republic, coined the phrase: ‘Our long national nightmare is now over’ when he was sworn-in as President after Richard Nixon resigned on August 9, 1974. In 1995, the last time a similar government shutdown not only was ‘threatened’ but actually accomplished, the situations sounded very familiar: President Clinton did not want to cut much government spending; Republicans did not want to raise any taxes to close the budget deficit gap. It came down to, you guessed it, the House Republicans refusal to raise the debt ceiling unless they got more spending cuts that would lead to a balanced budget. The first shutdown lasted only 6 days, from November 14 to November 19, 1995. 4 working days really since the last two were the weekend. The second one was more substantial lasting from December 16, 1995 to January 6, 2006. The budget deficit in 1995 was a paltry $164 billion and the debt held by the public was a measly $3.6 trillion which represented 48% of our GDP at the time. Our economy was roughly half the size it is today or about $7.3 trillion in GDP. Total federal SPENDING for the entire US budget in 1995, including Social Security and other so-called ‘off-budget’ items, was only $1.5 trillion. Just a very short 16 years ago, less than the age of every single person reading this posting. The budget deficit today in 2011 ALONE is now about $1.3 trillion per year or about 33% more than what current tax revenues are bringing in. So, the government was shut down in a dramatic way amidst all the theatrics that would make any Broadway producer proud. The first shutdown was short and brief and the second one took place over the Christmas holidays. But imagine you were a ‘non-essential’ federal worker over the Christmas holidays in 1995 and wondering how you were going to pay for all the Christmas presents you have just charged to your credit card for your family? That is an apt analogy for us as a nation today, isn't it? And how did that ‘crisis’ end? Just like this one will in some form or fashion. Food safety inspectors will be told to stay at home and food will not be sold or will be labeled as ‘uninspected’. You want to eat pork or beef that has been ‘uninspected’? Go ahead, you first. Passport officials will not process any passports or visas. You want to go to China to do business and all of sudden forgot that your passport had expired last month? Forget it. You ain’t getting no passport and you and your business ain’t going to China anytime soon. But you know what really got Congress in a bind about ending the shutdown in 1995-96? People who had been saving all their money for a year to come to Washington, DC to see the lights and go to the White House to see the decorations and visit the national monuments on the Mall did indeed come to town and did indeed go to the Lincoln, Jefferson and Washington Monuments about ¾’s of a mile from Capitol Hill. Many had been drinking sweet tea all the way up I-95 from places such as Lumberton, North Carolina. So when they got through walking up and down the 897 steps in the Washington Monument, many of them had to use the facilities to relieve themselves of all that sweet tea they had been drinking on the trip up to D.C.
And the Port-A-Johnnies near the Monument were chained shut. Closed. Not open for business. So where was the nearest public restroom that was open since the entire national park system, which included the Smithsonian Museums et.al. 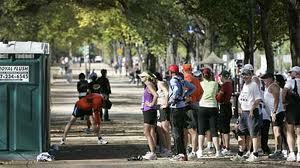 along the National Mall, were closed due to the shutdown? Why, Capitol Hill of course, a short drive from there but mostly a very brisk walk or run for people in a hurry who needed to go to the bathroom and were mad as hornets to boot. Which is why you wanted to work on the fourth or fifth floor. Most of the angry mob got tuckered out about the 3rd floor of door-to-door lobbying. 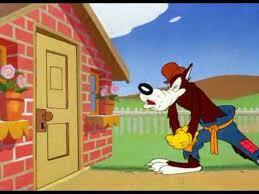 Some convoluted deal will be concocted to extend the debt ceiling to probably after the 2012 elections, of course. We may have a few days of technical government shutdown, although interest will be paid on the national debt and no default will be incurred. No major spending cuts achieved; no major tax hikes or reforms agreed-to. Another year of massive debt accumulation to ensue for your children and grandchildren to deal with. But there you have it. The way this long national nightmare of 2011 will end. In the bathrooms of Capitol Hill. 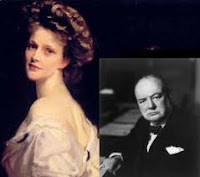 Winston Churchill had the most tempestuous relationship with a female 'friend', Lady Astor, that could be had without being officially married. "Would you sleep with me for a million pounds?" Churchill asks. "A million pounds?" says Lady Astor. "I’d have to think about it first but, in all likelihood, yes." "How about for a six-pence?" "Why I never!" Lady Astor huffs. "What do you take me for?" "That, my dear," says Sir Winston, "has been established. We are just negotiating price." Everyone in politics ‘has their price’. It just has not been 'found' yet in Washington apparently. We may be heading to the point where the world financial markets start to inflict their verdict on the inaction of Congress and the White House to deal constructively with our budget deficits and debt. That may be the only way both sides see the downside to their inaction and intransigence, and unfortunately, so will every single American citizen and family. Every person has their own internal divining rod that points straight down when they see themselves over the mother lode they are most interesting in finding. For some, it is the vexing issue of abortion. To others, it is the environment. For others, it is protection of the social welfare safety net. And to others it is the level of taxes, for you and others in the society. What is the issue that grinds your gears the most? Cooks your grits? Drives you bonkers? What would it take for you to 'compromise' on a core principle and accept a deal that would get you something else you really wanted just as bad or more? We live a pluralistic democratic republic where it is very difficult, if not impossible, to achieve 100% of what you want in any legislative session. Unless your side has 1) The Majority in the House; 2) The Majority in the Senate; and 3) The President in the White House, it is impossible to get close to what you want. President Obama and the Democrats got Obamacare passed in 2010 because they held the keys to all three levers of the legislative process, and got promptly thrown out of control of the House in the November elections in a rout of biblical proportions. If you wanted Social Security reform to the tune of $4 trillion as was mentioned by President Obama last week, would you be willing to accept any tax increases on anyone at all? If you really wanted to pass higher taxes on the wealthiest Americans, would you accept these Social Security reforms to do so? If you are unwilling to compromise on any front, you are essentially saying you are OK with never-ending deficit-spending and accumulation of debt at unsustainable levels. That is what has been done in Washington for close to 27 of the past 30 years in Congress and look at where that has gotten us today. We can no longer afford or risk accumulating never-ending amounts of national debt that will soon be refinanced at every-escalating higher rates of interest. The average rate on all American government bonds now is about 3%. What happens if foreign investors get the slightest bit 'skittish' about buying US debt and demand 6% to hold the debt? 9%? 21%? Don't laugh. Anyone over the age of 21 in 1980 can remember 21% interest rates in America and what it does to homeownership and buying cars and household appliances. It is crazy. What if you knew beyond a shadow of a doubt that passing a massive compromise budget deal meant the solvency of the American dollar and economy and long-term economic health and growth for every one of the 310 million citizens now living? Would you 'take it' as long as you achieved at least one of your top 3 legislative priorities? You may have heard of the most recent 'collapse' of the budget negotiations in Washington over the debt ceiling issue. We are sure you are going to hear about this for the next three weeks and perhaps longer. Our guess is that the debt ceiling will be lifted in 'small' increments, small for Washington, that is. Like maybe $1 trillion or, 'surprise, surprise! ', just enough to get the government through to November 7, 2012 or one day AFTER the next congressional and presidential elections. Imagine that. Just long enough to be able to kick the debt can one more year down the road towards being completely financially irresponsible and force the tough decisions on our children and grandchildren. Again. There probably will be smoke-and-mirror 'spending cuts' in it akin to the last time a measure passed Congress on April 9, 2011 to avert a budget shutdown which really did not amount to much when all was said and done. If you see the words 'reduced budget AUTHORITY' instead of 'reduced budget OUTLAYS' (or appropriations), then you will know we have been scammed again and nothing of much consequence will have happened on the budget deficit front. It is hard to figure out just exactly what President Obama offered by way of the $4 trillion in savings in Social Security without the details which were scanty at best and probably back-loaded into years 8,9 and 10 down the road in return for any tax hikes upfront immediately. That is always a 'bad deal' no matter how you slice it. Take a look at ObamaCare: Tax hikes front-loaded and higher spending after year 3 for as far as the eye can see. But we really are in uncharted economic waters right now. Are the Democrats and Republicans both seriously considering playing a game of chicken with each other and not compromise on a major deficit-reduction package that the markets around the world are eagerly awaiting? Behind Door #1 is inflation. Door #2 has higher interest rates behind it. These are the two probable outcomes if the US does not pass a serious budget deficit-reduction package very soon. 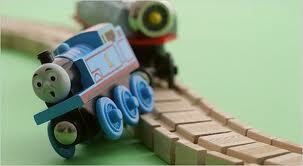 Is either party willing to take the blame for one or both outcomes in the absence of a major deal on the debt ceiling? The Pelosi/Reid Democrats have already declared that nothing in the entitlement area of the budget can be touched or altered or reformed...ever. Are they serious? Nothing in these reforms would affect 1 senior now living who is over the age of 66; they would all be applied to seniors coming of age in the next 10 years, not today. Consider this question if you are an anti-tax Republican: ‘In return for cutting the federal government in half, would you be willing to raise income taxes by $1 on every American citizen, including the wealthy and the 50% of the populace now not currently paying any income taxes at all? We have already heard from several well-meaning patriots and folk who have outright said they would reject that ‘deal’ as a violation of their tax pledge. Even if it meant that federal spending was cut in half across-the-board, the budget was balanced and it meant that further tax cuts could be made once the government was cut in half. If you are a small, limited government advocate, you have to be seriously disheartened to hear that sort of tortured reasoning. Seriously disheartened. Like Lady Astor must have been when propositioned by Sir Winston Churchill. We have heard a lot about budget cutbacks, budget reductions, 'slashing this' and 'slashing that' in our state and local budgets. Nothing has happened at the federal level that could even be considered a tiny trimming of one hair split-end yet. Could that be because state and local governments have to balance their budgets and the federal government does not yet have a Balanced Budget Amendment to the US Constitution? Maybe we should get one and get one fast. We are still barreling along at the ‘full speed ahead, damn the torpedoes!’ rate at the federal level, even with tons of warning signs screaming ‘Bridge Out!’ ahead. Speaking of bridges, or the lack thereof, that brings us to the Elwell Ferry in Bladen County, North Carolina. Just like the lady on the Garmin GPS tracking device in our car which seemed to mysteriously and magically direct us to this wonderful, albeit anachronistic site landmark on the way to the beach. Did the manufacturers of the Garmin GPS devices ever consider the fact that maybe men didn’t want another woman in the car telling them what to do and where to go when they are driving? Just something to consider. So we turned left and went past a turf farm, of all things, and soon found ourselves waiting for a ferry to take us across the mighty Cape Fear River. The ‘Cape of Fear’ earned its name as a graveyard of sorts from the Frying Pan Shoals that extends 28 miles beyond the cape of North Carolina beyond Bald Head Island where the Cape Fear River empties into the Atlantic Ocean beyond Wilmington. Except the ‘mighty’ Cape Fear in Bladen County is about 75 yards across at the point we found it. George Washington could have thrown a football across the river here; we are not so sure about the Potomac story. So we waited for the first car to be ferried across the river on the one-car ferry. And waited for it to come back empty. And then the second one. We were 4th in line so we added up the time and figured it made more sense to go about 10 more miles down the road to take the modern multi-million dollar bridge across the widening Cape Fear at that point. On the way to the bridge, it occurred to us that the ferry was not a toll ferry but a part of the NC Transportation system. Which means it was ‘free’ to cross. We didn’t see anyone collecting money on either side of the ferry stops. After a little research, we found out that on a good day, perhaps 60 cars cross this quaint ferry that reminds people of days gone by. That has a lot of historical interest and value…but so does the animated Hall of Presidents at Disney World. We couldn’t find the exact operating costs of the Elwell Ferry in the NC DOT budget line-item version so we just did a back of the envelope calculation and came up with rough estimate of $216,000 it might cost the NC taxpayer to keep the quaint and antiquated Elwell Ferry operational as part of the NC transportation highway system. The cost could be $216,000 per year to run this anachronism from days gone by. It could be $150,000. it could be $100,000. How much does it cost to hire a bright young teacher to teach in the local Elwell Ferry area schools? The money that is being spent (wasted) on the Elwell Ferry could be perhaps better spent on 2, 3 or 4 teachers, couldn't it, just to name one option, one of the others being a tax refund, perhaps? We figure it might cost $10 per car to pay for the ferry and the operational costs of the ferry with gasoline prices being what they are now. It could be $5/car or it could be $25/car, we don’t know. But it strikes us as being a little bit disingenuous to be screaming about the ‘bloodthirsty budget cuts’ of the NC state legislature now dominated by the Republicans for the first time in 140 years (yes, you read that correctly….140 years) when there might be up to one-quarter of a million dollars going to operate an antiquated ferry that could and should be closed and people forced to go over the multi-million dollar bridge just down the road. If anything, return the ferry to its toll-paying status. It is closer to a nostalgic ride in the Land of Yesteryear at Disneyland than it is to a crucial aspect of the statewide transportation system that all taxpayers have a stake in supporting. We think there is a legitimate stake for every taxpayer in our nation’s defense; a smooth-riding and not-pothole-riddled national and state highway system and a great public education system. Thomas Jefferson realized early on that an uneducated electorate could not support the nascent democracy; never could in history and never will. You think public education is expensive? Try ignorance and a a totally uneducated populace and workforce. That would be disastrous for the American Republic. But, seriously, has the budget been cut so to the bone that we can afford the luxury to still operate the Elwell Ferry at taxpayer’s expense when we have so many other big issues to confront and pay for? We think not. There is more, much more that can be done at every level of government. We do not think it is a fair statement to say that any federal, state or local budget is ‘cut to the bone’ and ‘old people will be tossed into the street’ and ‘every child is going to be denied a good education’ unless every scintilla of waste, fraud, abuse and questionable spending is eliminated from every government budget first. The Elwell Ferry still operating in Bladen County, North Carolina in the Year of Our Lord 2011 is proof-positive we have not yet gotten to that point. Here’s a concept to keep in mind: ‘If the expense benefits all Americans, such as national defense or a perfect interstate highway system (which Ike started as part of his vision of a ‘national defense’ rapid response system similar to the German Autobahn), then fund it from taxpayers expense. If not, pay for it out of local money or tolls, user fees, excise taxes from the people who use that service the most'. The people who like to ride ferries will flock to the Elwell Ferry and gladly pay $5-$10 to ride it like it is a ride at Disney World. But they should not be afforded that pleasure at the expense of the general taxpayer who is now struggling to make a living and pay his or her own taxes in the first place. There is no 'cutting to the bone' yet in the state budget apparently. Seems like there is still room to go.